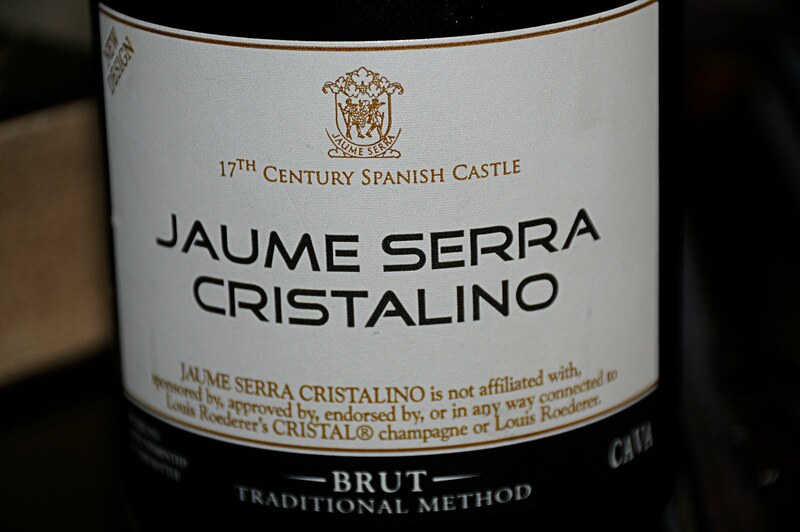 I don't usually do a lot of reviews on champagne, or sparkling wine as it's known from countries other than France, but we had the Jaume Serra Cristalino at a recent milestone birthday party, yours truly, and I just had to jot a few lines about it. We ended up buying a case of this for the party and only had one bottle left by the end of the night. We had purchased equal amounts of red and white wine and this sparkling one was the favorite of all who attended. Light yellow color this wine is very lively when first poured. Make sure you use an appropriate stem to allow it to fully open up and to get the best flavor this wine has to offer. On the nose I picked up a slight amount of yeast with green apple and tangerine. On the palate more fruit, the green apple made another appearance, along with a slight hint of lime and possibly passion fruit. Not as dry as other sparkling wine's I've had, that's a good thing in this case, and a finish that is nice but doesn't linger. We had this with a variety of heavy finger foods and by itself as the night wore own. An informal canvas of this wine had it rated at 4 Corkscrews which I easily concur with. It retails for about $7.00 a bottle so definitely won't break the bank. Pick this one up for your next party or whenever you just want to enjoy a nice glass of cham, I mean, sparkling wine! Sit Long, Talk Much, Laugh Often, Enjoy Life, Drink Wine and a little Champagne every once in awhile. I was introduced to this wine years ago and it is my favorite "go-to" sparkler. Glad you enjoyed it!